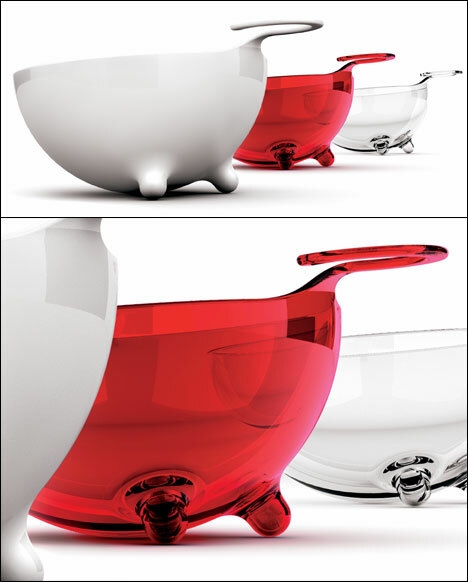 “MooM” bowl designed by Giovanni Alessi Anghini, is intended for “quick meals and informal dinners.” The hook-tail handle is meant to hold a drinking glass, napkin or breadsticks on your trip from the kitchen to the couch. 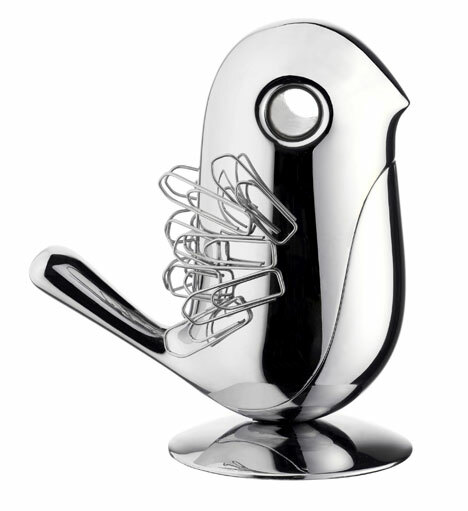 The chrome-plated zamak “Chip” clip holder, by Rodrigo Torres, has an internal magnet and a bird-like form; add paper clips to fill out the plumage. brilliant!